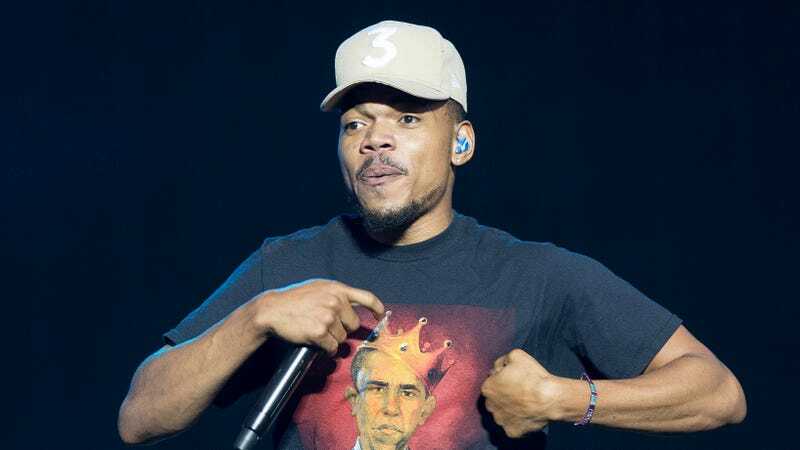 More than 100 people were hospitalized, mostly for drinking too much, in Connecticut on Friday night following Hot 93.7's Hot Jam concert, headlined by Chance the Rapper. Hartford Deputy Chief Brian Foley told the Hartford Courant that the crowd was largely comprised of people in their late teens and early 20s, and that tailgating, partying and excessive alcohol consumption was “extremely prevalent.” In addition to Chance, the lineup included Kyle, PnB Rock, and ANoyd. Foley added that the majority of those hospitalized were underage attendees experiencing “severe intoxication.” Police made around 50 underage drinking referrals, and most of those charged were issued a court summons. Officials said around 21,000 people attended the event at Xfinity Theatre, and that it was patrolled by a special Department of Transportation-sponsored police detail focused on underage drinking enforcement, NBC Connecticut reports. Usually around 60 people are transported for alcohol and drug use at any given show in the city, but Friday saw the “constant cycling of transports,” Hartford Fire Capt. Raul Ortiz told the Courant. So strained were emergency responders that Hartford’s ambulance provider even had to call in reinforcements from elsewhere. “When it’s at this level, you’re tapping into all your resources in the area,” he said. Everyone who didn’t get hospitalized or ticketed seemed to have a great time. Police expect tonight’s Lady Antebellum show to be “much lighter and calmer.” Hmmm.